Award-Winning photographer/author, in LA from NY. For him, there is no “one” subject that he photographs; he chooses to shoot what he sees. Being able to do what you love these days, much less being able to connect it to a great cause, isn't easy. Karate master Becker, who holds the world record for most boards broken in one minute, has combined his unique talent with his desire to combat bullying of children -- a fitting match, when you think about it. 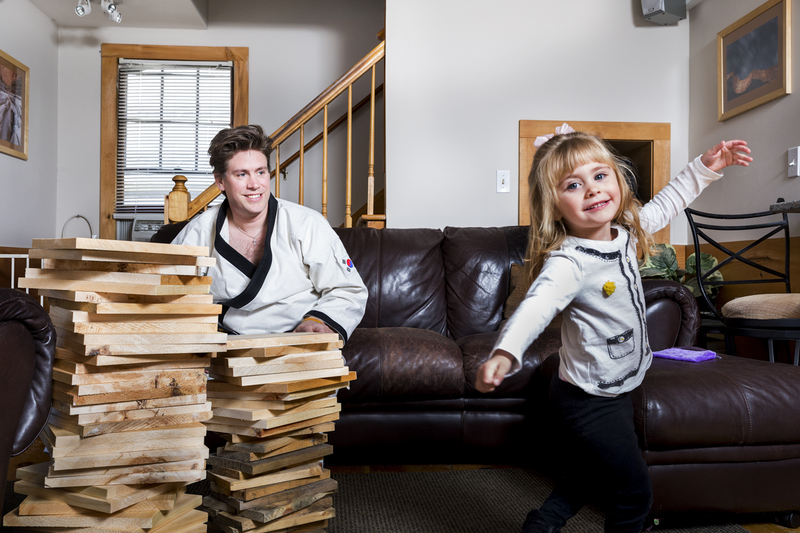 His next goal: to break 100,000 boards -- a stack five times the height of the Empire State Building. (Not all at once, presumably.) Becker's motto: "Performance is the opportunity to achieve. Mastery is the ability to surrender."